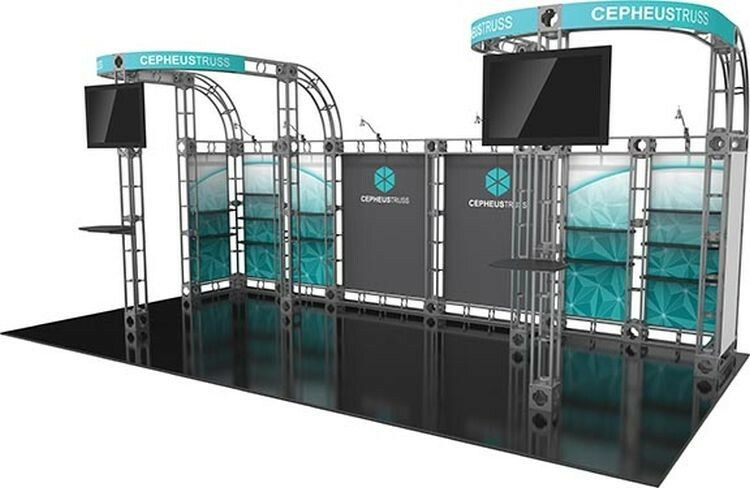 The Cepheus-2 10ft x 20ft inline Orbital Express Truss exhibit is a professionally designed "off-the-shelf" kit that comes complete with all the parts, fixtures and fittings you need to create a successful exhibit. Cepheus-2 features shelves that can be adjusted across the backwall, two tabletops and six low voltage spotlights that illuminate the backwall and messaging. Can be reconfigured using the same parts.